Hey there scrappers, if you're one of those that are reading hydroxycut advanced reviews, exercising, dieting , eating healthy foods or whatever method you're doing to get off those unwanted fats of yours, I reckon it is also nice to document your weight loss journey. 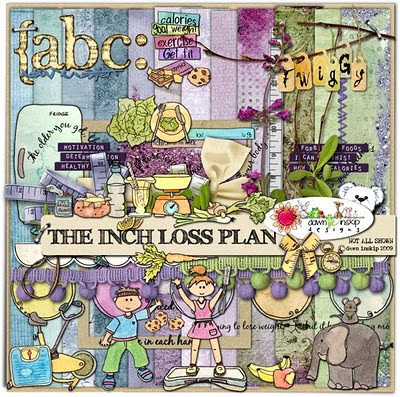 This THE INCH WEIGHT LOSS digi-scrapping kit by Dawn Inskip is perfect for your photos. Sold at Pickleberry Pop for $5.50. Check it out and happy scrapping! I hope you'll be inspired to scrap when you see this kit.